BlackBerry reported a bigger revenue slide than expected for the third quarter, despite the release of a new device last month, which would traditionally boost sales. BlackBerry: CEO John Chen says sales are "not satisfying"
The company reported a sales drop to $793 million from $1.19 billion last year, falling short of analyst estimates. 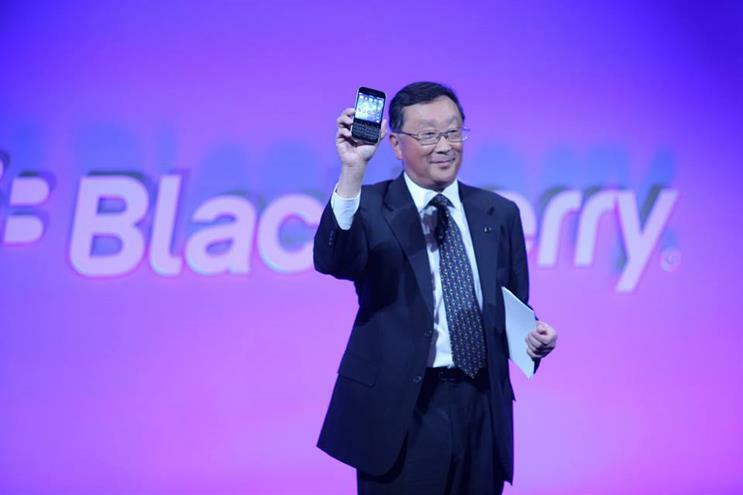 BlackBerry did return to a modest profit, but CEO John Chen described the company’s sales performance as "not satisfying". That’s despite the launch of the BlackBerry Passport (pictured below), an unconventional, square touchscreen phone aimed at business users. BlackBerry has been on a path of slow decline since the arrival of the first iPhone in 2007. Chen, who took the helm a year ago, has focused his turnaround strategy on returning to the company’s enterprise roots and cutting down the number of devices it releases. That turnaround is working, albeit slowly, since BlackBerry has started generating cash once again. But BlackBerry's brand strength remains shaky in a market where rivals such as Samsung will willingly fork out billions to compete with Apple. Samsung spent $14bn on its marketing last year, according to data from Thomson Reuters. The landscape has changed dramatically since the days of the ‘crackberry’. In the first quarter of 2007, Nokia accounted for almost half of the entire smartphone market, according to Statista. Now Nokia’s mobile business lives primarily through Microsoft’s Lumia brand, which has a fractional share of the market. Another legacy rival, Motorola Mobility, once held around 10% of the global mobile market. It too suffered from the iPhone effect and was eventually bought by Google in 2012, before being sold again to Lenovo at the beginning of this year. But Motorola is making active attempts at reinvention, with its EMEA marketing chief Marcus Frost describing the brand as "fresh, agile". The company has released a number of well-reviewed devices, such as the Moto G and Moto X, though crucially it has yet to make a profit. Microsoft, meanwhile, has been keen to stress that Lumia is moving on without Nokia's "baggage". 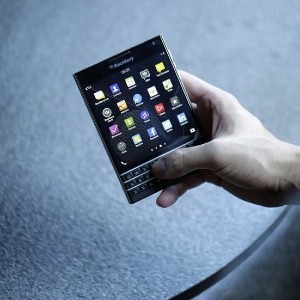 But BlackBerry has harked back to its origins with the launch this week of the aptly named Classic, which features a physical QWERTY keyboard. Though targeted at Blackberry brand loyalsts, some analysts aren’t convinced. Kantar analyst Carolina Milanesi told the BBC: "This is more about avoiding more people leaving than necessarily winning many over. "I have a hard time thinking that people who grew up on [touchscreens] will see this as an exciting 'retro' trend and embrace it."